SB 35 creates a streamlined, ministerial entitlement process for qualifying multi-family, urban infill projects in jurisdictions that have failed to approve housing projects sufficient to meet their state-mandated Regional Housing Needs Allocation (“RHNA”). SB 35 allows the Department of Housing and Community Development (“HCD”) to adopt guidelines to implement its terms. We will monitor and report on the development of these guidelines, which should provide additional insight as to how SB 35 will be implemented. Require payment of prevailing wages if the project contains more than 10 units and, in some cases, use a “skilled and trained workforce” to complete the development. SB 35 does not apply to projects that are located: (1) within a coastal zone; (2) on prime farmland or farmland of statewide importance; (3) within a wetland as defined by the U.S. Fish and Wildlife Service; (4) within a very high fire hazard zone (subject to certain exceptions); (5) on a hazardous waste site (subject to certain exceptions); (6) within a delineated earthquake fault zone (subject to certain exceptions); (7) within a floodplain or floodway (subject to certain exceptions); (8) on lands identified for conservation in an adopted natural resources protection plan; (9) on land subject to a conservation easement; (10) on a site with existing affordable housing that would need to be demolished to make way for a new project; (11) on land that requires subdivision (unless the development is subject to the requirement that prevailing wages be paid and either uses low-income housing tax credits or is subject to the requirement that a skilled and trained workforce be used); or (12) on a site subject by to certain laws governing mobilehomes. SB 35 requires a development proponent to submit an application for a development that is subject to streamlined, ministerial review. The bill establishes expedited timelines by which each local government must (i) notify the applicant of any conflicts between the proposed project and applicable objective development standards, and (ii) conduct design review. If a local government subject to SB 35 determines that the proposed project is inconsistent with objective planning standards, the locality will have 60 or 90 days from submittal of a development application (depending on the size of the project) to provide the applicant a written explanation of the reason(s) the project conflicts with the standards. If the locality fails to comply with this timeline, SB 35 provides that the project is deemed to satisfy the objective planning standards. Additionally, a local government subject to SB 35 will have 90 or 180 days (depending on the size of the project) to conduct any applicable design review or public oversight of the project, which similarly must be objective and based on the project’s consistency with the criteria for streamlined projects and “shall not in any way inhibit, chill, or preclude the ministerial approval” of the project. Requires local governments to report to HCD the number of housing units that have been issued completed entitlements, building permits, or a certificate of occupancy, broken down by income category. HCD has long sought this information to assess progress against RHNA. Limits local governments’ ability to impose certain parking requirements on qualifying projects. Local governments will be prohibited from requiring more than one parking space per unit for streamlined projects pursuant to SB 35. Additionally, local governments will be prohibited from requiring any parking for certain streamlined projects, including those proximate to public transit or car share services or within a historic district. Provides that entitlements for projects approved pursuant to SB 35 that do not include 50 percent affordable units are valid for three years (subject to a one-time, one-year extension), and entitlements for projects that incorporate 50 percent or more affordable units and public investment in affordability will not expire. Prohibits a local government from adopting any requirement that applies to a streamlined project on the basis that the project is eligible for ministerial or streamlined approval pursuant to SB 35. 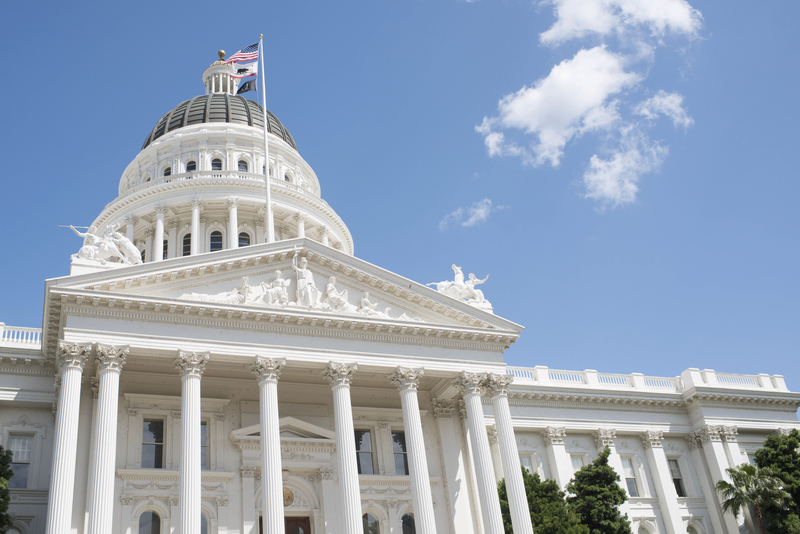 The streamlined review provisions under SB 35 will expire on January 1, 2026. Known as the “Building Homes and Jobs Act,” SB 2 will establish a permanent, ongoing funding source dedicated to affordable housing. The funding is intended to fill the void left by the elimination of Redevelopment Agencies in 2012 and the exhaustion of previous funding sources. Beginning January 1, 2018, SB 2 imposes a $75 document recording fee, per transaction per parcel (with a maximum fee of $225), for every real estate document that is required by law to be recorded, excluding transfers that are subject to documentary transfer tax (i.e. taxable real estate sales) and transfers of residential dwellings to owner-occupiers. SB 2 is expected to primarily affect mortgage financings, among other transactions. Legislative estimates calculate that SB 2 could generate over $200 million a year for affordable housing. As described below, monies in the “Building Homes and Jobs Trust Fund” must be used to improve local permitting processes for housing and to provide much-needed subsidies, mostly to projects serving persons experiencing or at risk of homelessness. It is unclear what volume of additional affordable housing will be generated by virtue of SB 2 funding. Fifty percent is to be used by HCD to assist persons experiencing or at risk of homelessness, including providing rapid rehousing, rental assistance, navigation centers, and the new construction, rehabilitation, and preservation of permanent and transitional rental housing. Twenty percent will to be used by HCD for the development of affordable owner-occupied workforce housing. Seventy percent will be used by HCD for a competitive grant program for local governments to assist persons experiencing or at risk of homelessness and to develop affordable housing. The competitive grant program will prioritize non-entitlement areas (i.e. less populated and rural areas). The remainder will be targeted by HCD to the development of farm worker and other affordable housing. SB 3, the “Veterans and Affordable Housing Bond Act of 2018,” will put a $4 billion general obligation bond on the November 6, 2018, ballot for the purpose of subsidizing affordable housing and home loan programs for veterans. 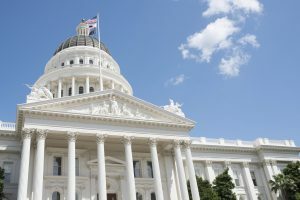 Supporters argue that these bond proceeds will provide California with a critical funding source to help more affordable housing projects get off the ground. Critics argue that SB 3 will just throw a lot of money at a large and complicated problem. SB 3 authorizes HCD to spend no more than $360,000 for technical assistance to cities and counties with no more than 150,000 residents to facilitate the construction of housing pursuant to the above-described programs. $1,000,000,000 for farm, and home loans for veterans through the Multifamily Housing Program, Joe Serna, Jr. Farmworker Housing Grant Program, and Department of Veteran Affairs (CalVet) CalHome Program. SB 3 authorizes HCD to spend no more than $360,000 for technical assistance to cities and counties to facilitate these programs. Please contact a member of your Cox Castle Land Use or Affordable Housing teams for more information, and continue to stay tuned to Cox, Castle & Nicholson’s Lay of the Land blog in the coming weeks for additional in-depth analysis and insights regarding the 2017 housing legislation package.